This addition to a 1950s beach house by Arthur Erickson serves as a self-contained suite, separate from the main house, but connected by a transparent walkway. In the spirit of the original building, the addition was designed as a modernist pavilion that echoes the construction and detailing of Erickson's design. The roof structure pays homage to the original's vaults, but clerestorey glazing allows the roof to float above the walls, allowing for natural light while maintaining privacy. 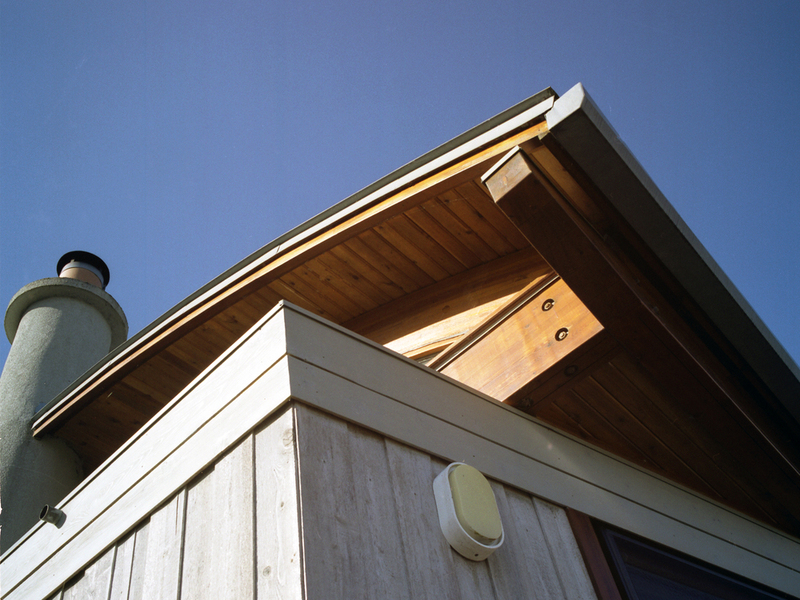 The property line is eccentric to the beach, so while the principal volume of the addition lines up with the existing structure, its roof and a secondary wing are skewed to run parallel to the property line.